From the single, centrally-positioned seat to the crash-proof frame, this Formula One-like car is an alluring piece of kit. 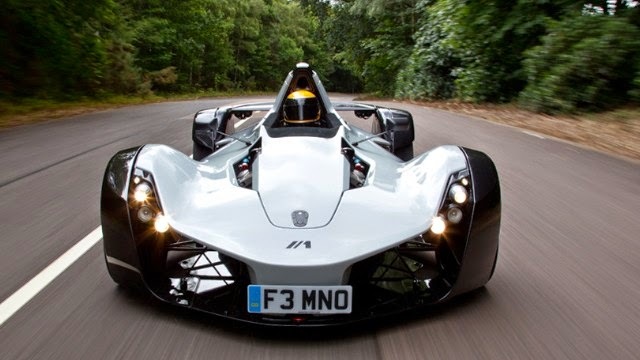 It would make any driver stand out in a traffic jam, and it's completely road legal. But the truly ground-breaking feature of BAC's ultra-sleek design is still under wraps. The company are developing an autonomous rear wing that self-transforms according to the conditions. In rainy weather it curves to increase downforce for a safer drive, and straightens out when the downpour clears. This process is powered by the rain itself. The startling concept is the result of collaboration with MIT's pioneering Self-Assembly Lab, which seeks to programme materials to build themselves, and transform how we make things.